WJSG Internet Radio: There's a New 'N Sync Album Out Today?! There's a New 'N Sync Album Out Today?! Surprise, there's a new 'N Sync album out today. It's such a surprise, in fact, it was even news to…the group?! We take it the "#TheyCare" hash tag is a little sarcastic. The other members of the group, which went on a "temporary" hiatus back in 2002 when Timberlake went solo and never reunited, have yet to comment about the release of the album. The album cover is a clearly a vintage pic of the band, showing breakout star Timberlake front and center with short, cropped hair and a sleeveless shirt that shows off his giant cross tattoo. It's not exactly his more polished and dapper "Suit & Tie" style of today. You'll spot a few other muscle T-shirts and a lot of spiky hair — very '90s. While the album may be a surprise to the band (a rep for Sony's Legacy Recordings, which released the album, has not yet responded to request for comment), what's not shock is its timing. That's because exactly 14 years ago today, the band landed its first and only Billboard Hot 100 No. 1 with "It's Gonna Be Me." It topped the charts for two weeks. So this new album is clearly timed with that anniversary. As for 'N Sync really reuniting and making new music? For now, it seems these few "new" tunes will have to suffice. Last August, the guys, who are all ensconced in other projects (big and small), memorably performed together at the MTV Video Music Awards. However, that was a one-off performance. Then there was the bad April Fool's Day joke earlier this year when Bass announced that the band was getting back together and putting out new music. 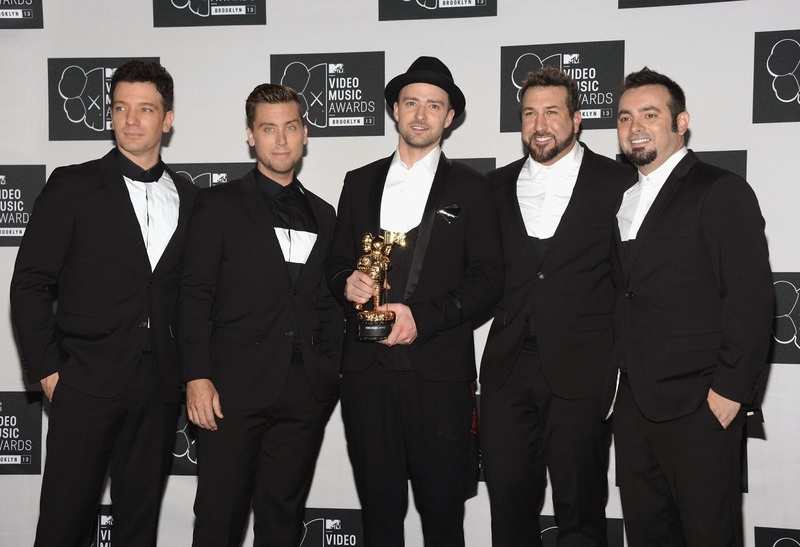 So for now, 'N Sync fans will have to settle for The Essential — and sweet memories of the boy band era.